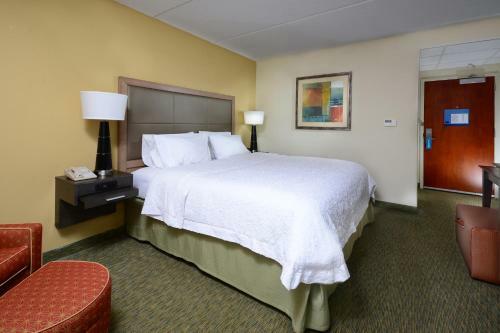 Just off Interstate 1, Hampton Inn Raleigh offers spacious accommodation with free Wi-Fi 2.5 miles from the historic Wake Forest center. 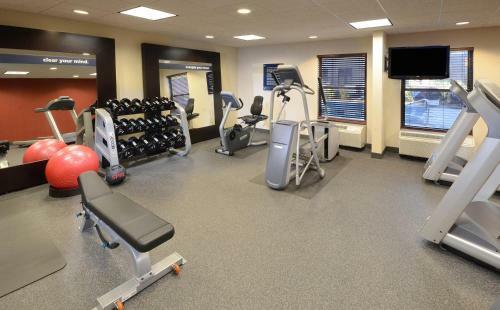 It features an outdoor swimming pool and well-equipped fitness centre. 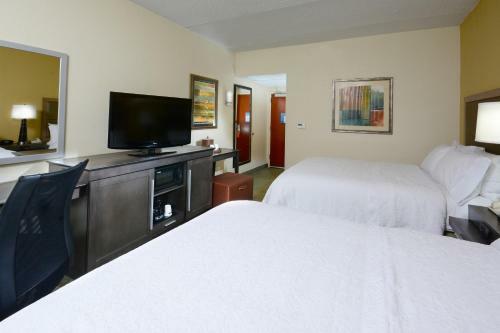 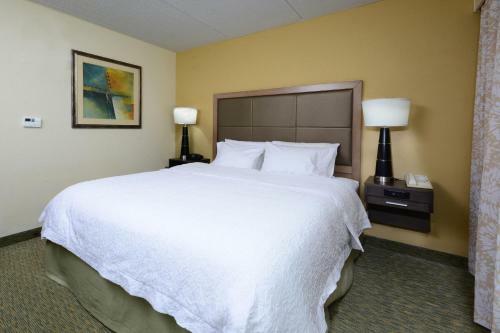 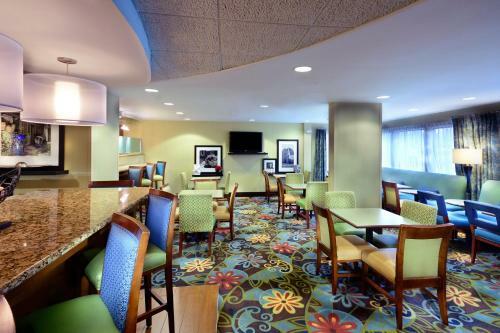 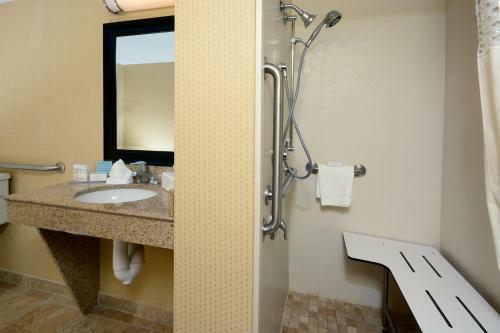 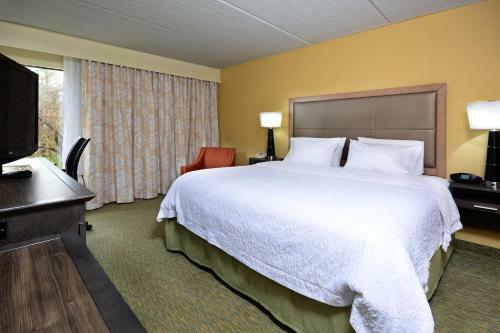 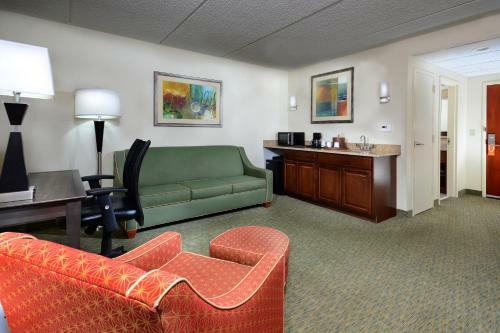 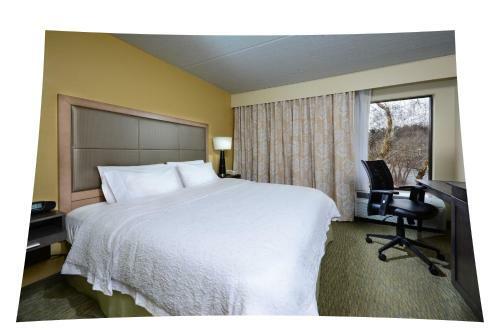 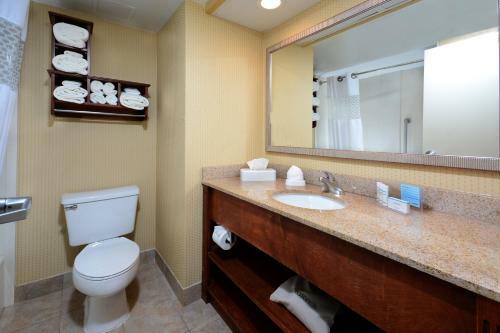 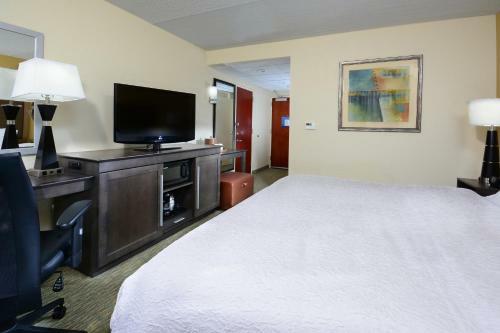 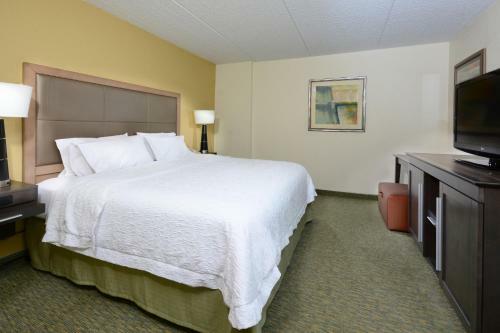 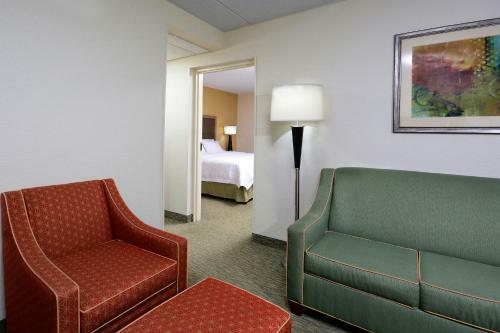 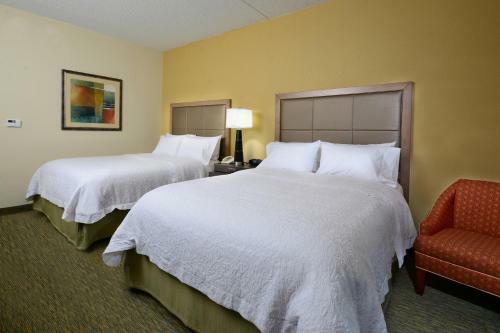 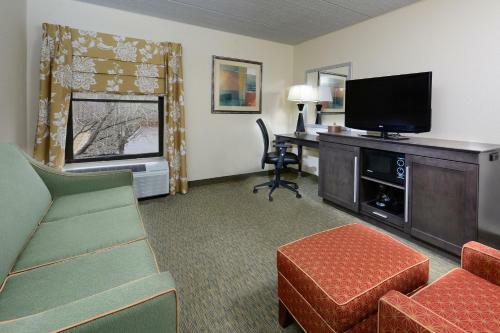 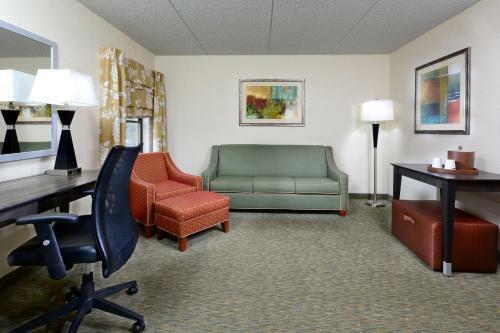 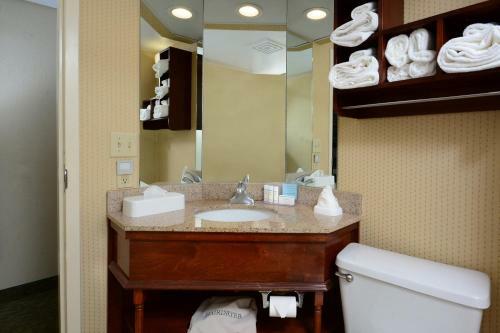 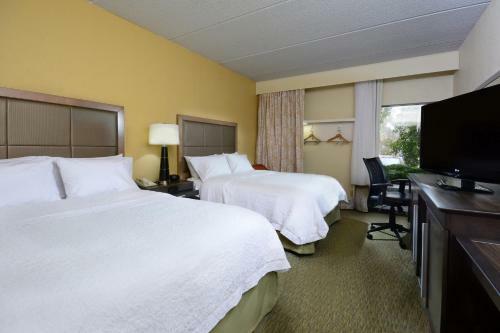 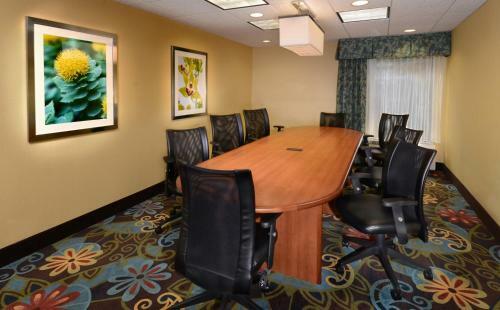 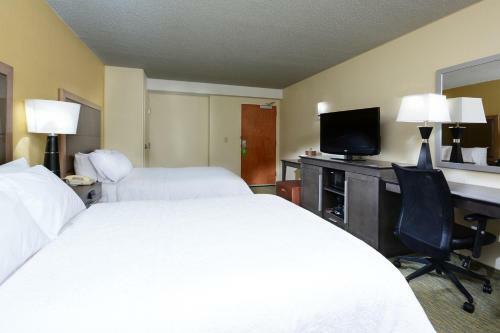 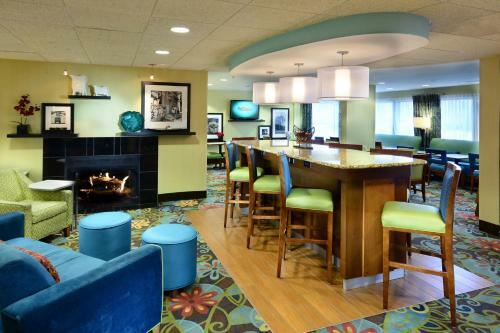 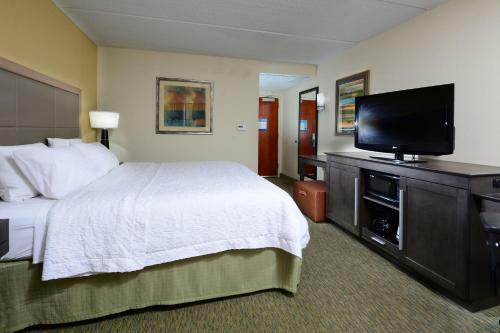 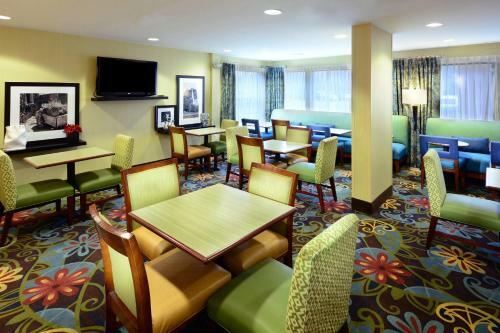 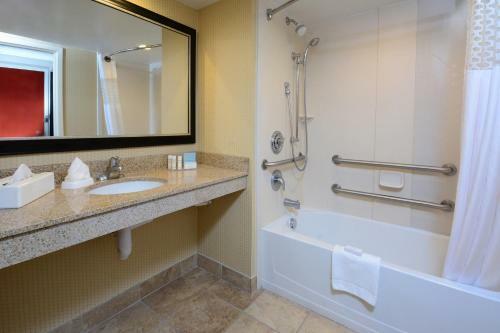 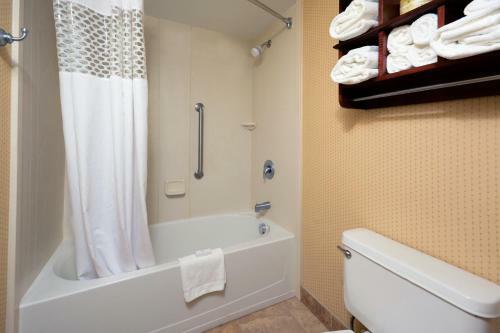 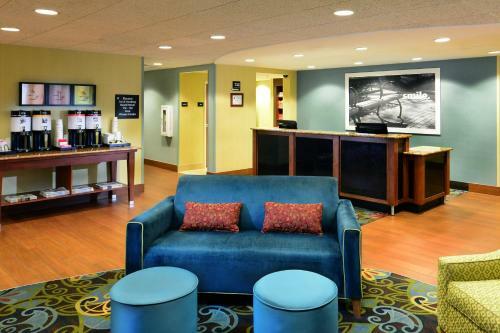 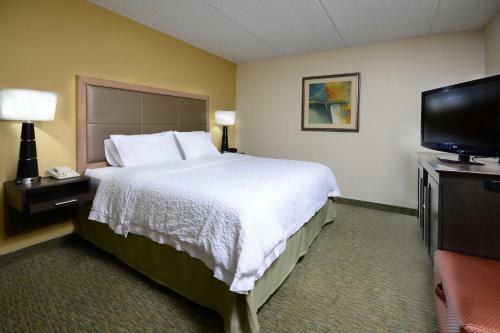 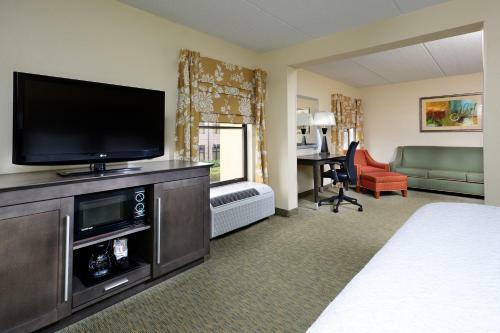 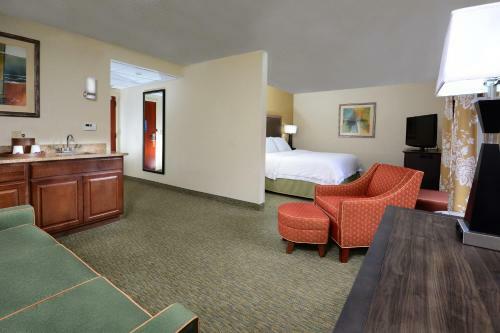 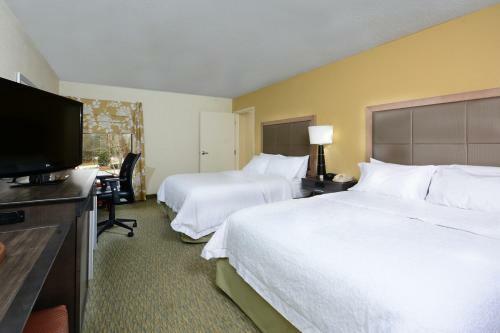 Each of Hampton Inn’s air-conditioned rooms has carpeted floors and a seating area. 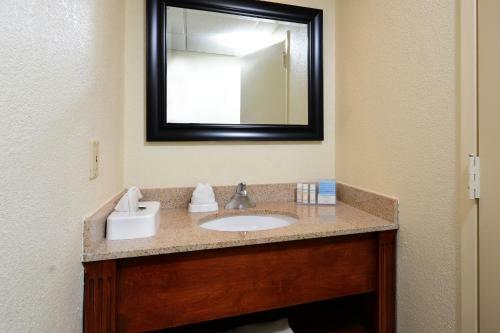 They are all equipped with cable TV, tea- and coffee-making facilities and a spacious private bathroom. 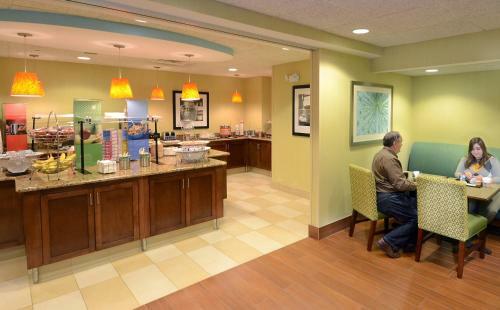 The Hampton Inn Raleigh’s/Town of Wake Forest provides free newspapers in the lobby area with plenty of seating. 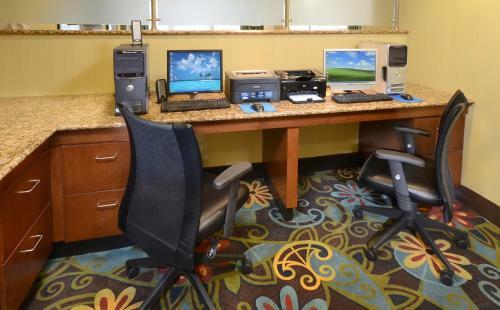 Guests can also use the on-site business centre with internet computer and printer. 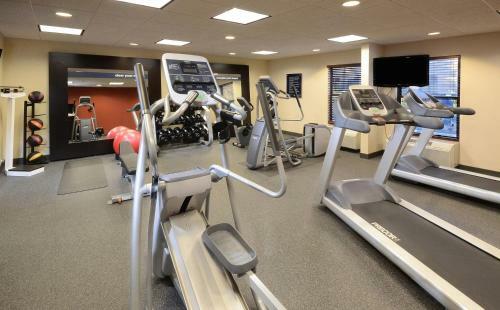 For a daily work out, guests can access the fitness center with cardiovascular equipment and treadmills. 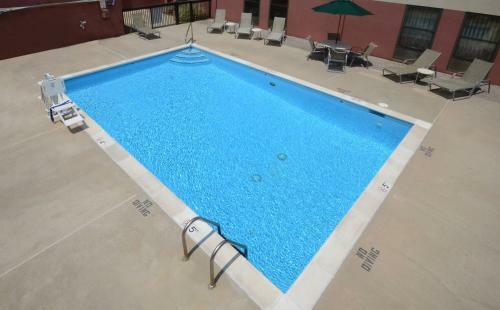 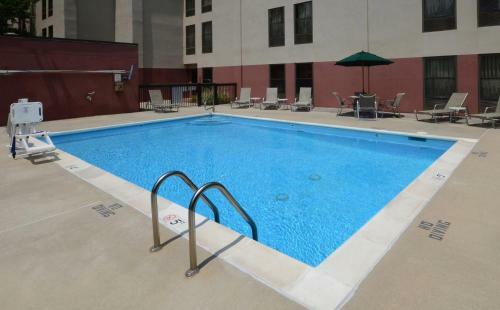 Guests can also take a refreshing dive in the outdoor pool. 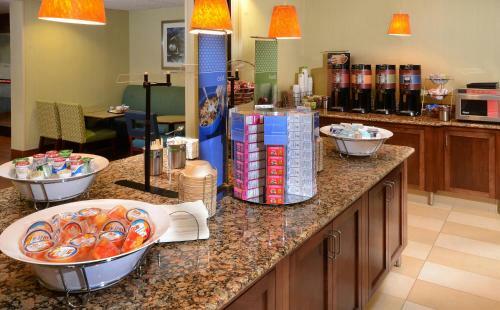 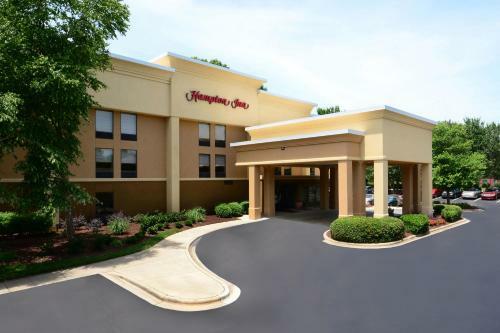 Hampton Inn Town of Wake Forest is 17 miles from Raleigh City and provides free on-site parking. 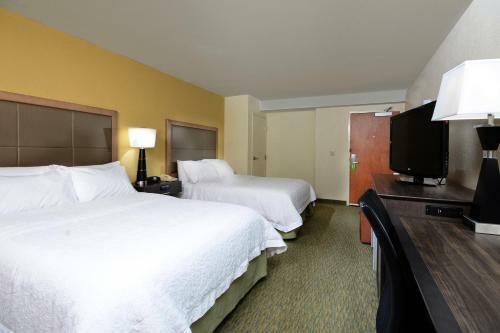 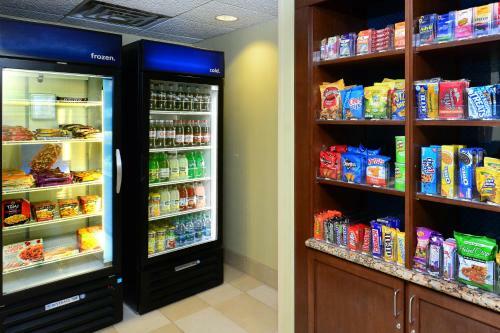 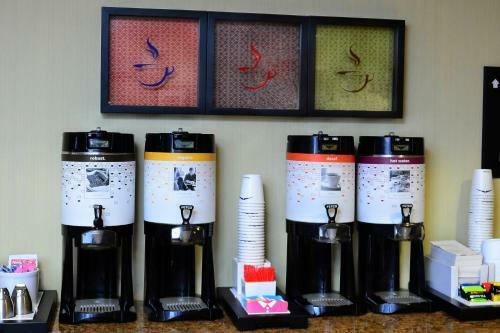 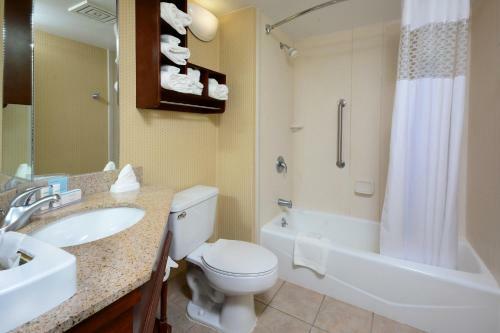 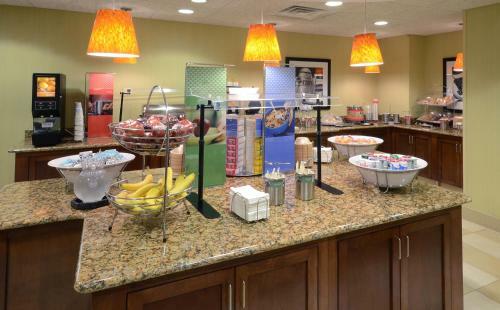 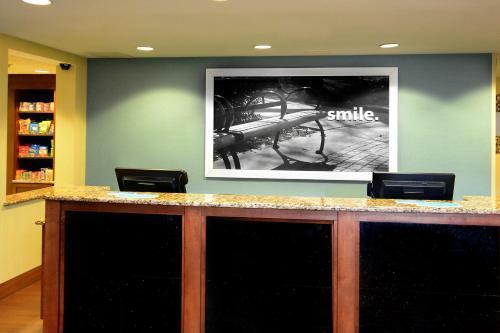 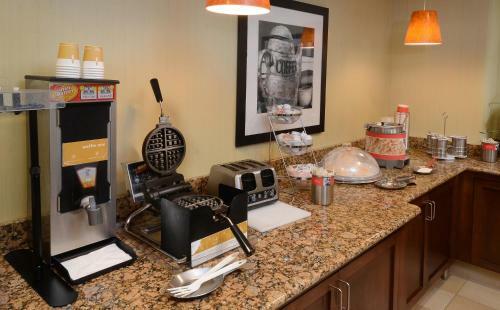 the hotel Hampton Inn Raleigh/Town of Wake Forest so we can give you detailed rates for the rooms in the desired period.